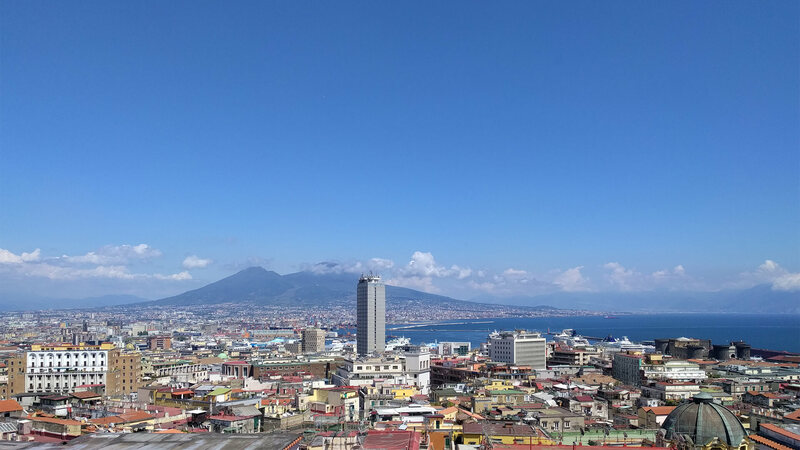 Snam is leader in Europe in the construction and integrated management of natural gas infrastructure. 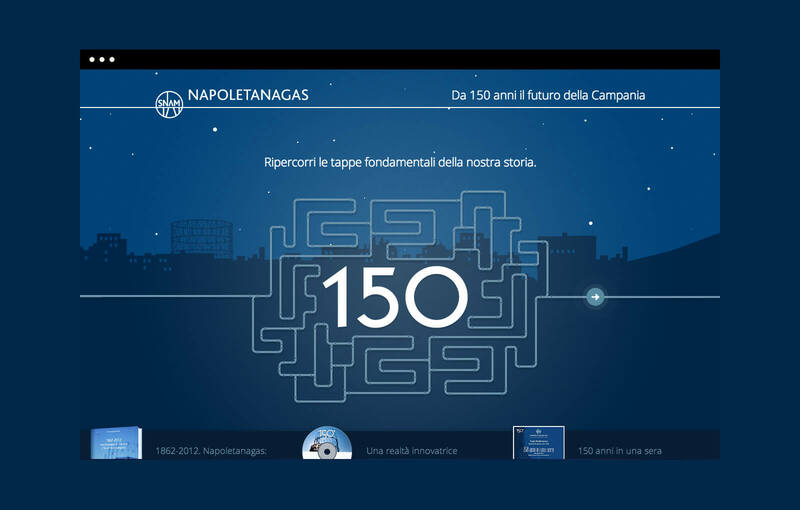 The site of the 150th anniversary of Napoletanagas was the first part of the larger project "SNAM Stories" about the activities and special projects of the group's operating companies. 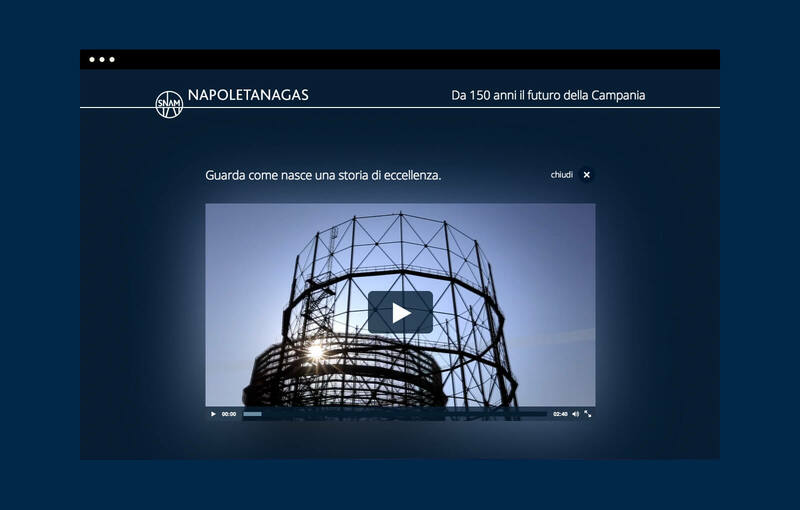 The site went online on the anniversary of the company’s foundation and told the story of Napoletanagas through the decades from 1862 till today. 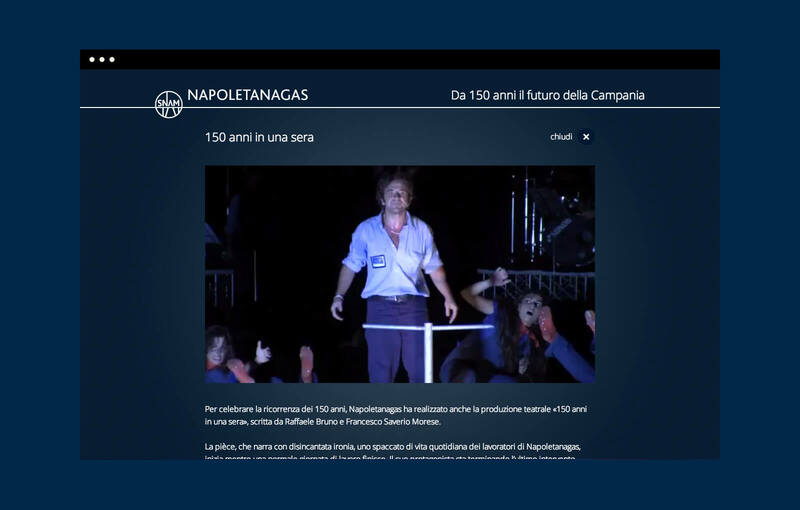 “SNAM Stories" is an editorial project but at the same time it was a brand awareness activity. 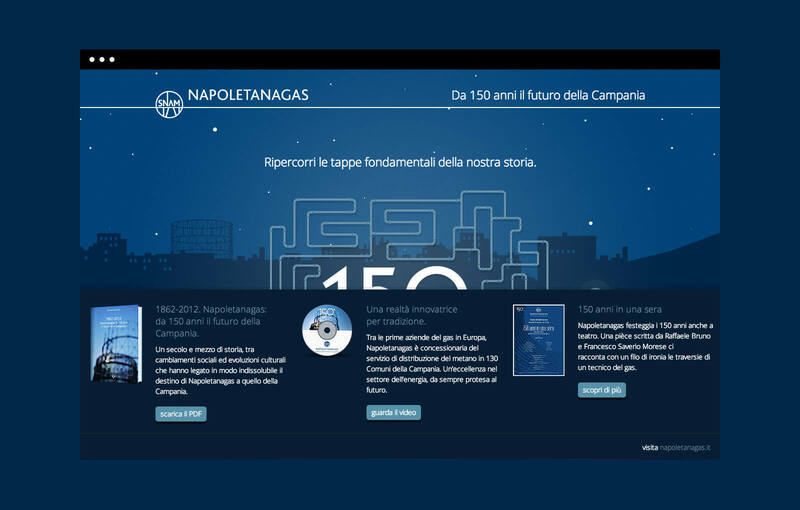 It used a series of formats designed to support storytelling: periodically, depending on the content, the most suitable graphic format was selected. 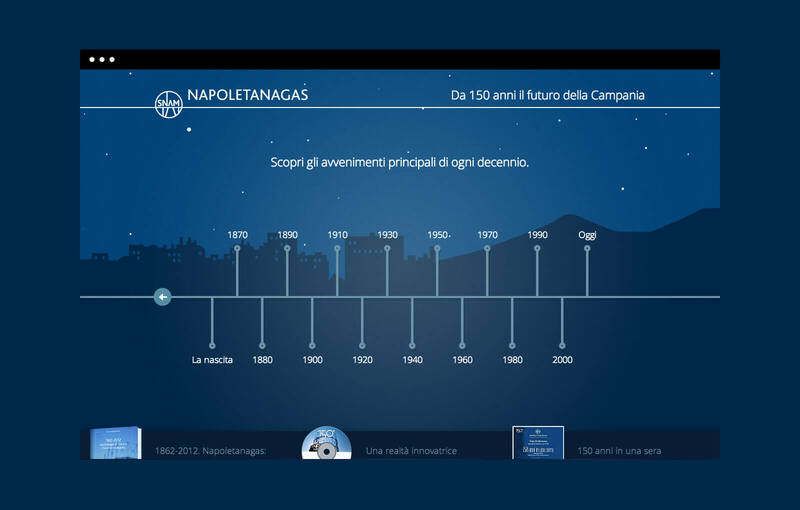 For the 150th anniversary of Napoletanagas, the company’s history was represented by a horizontal timeline.